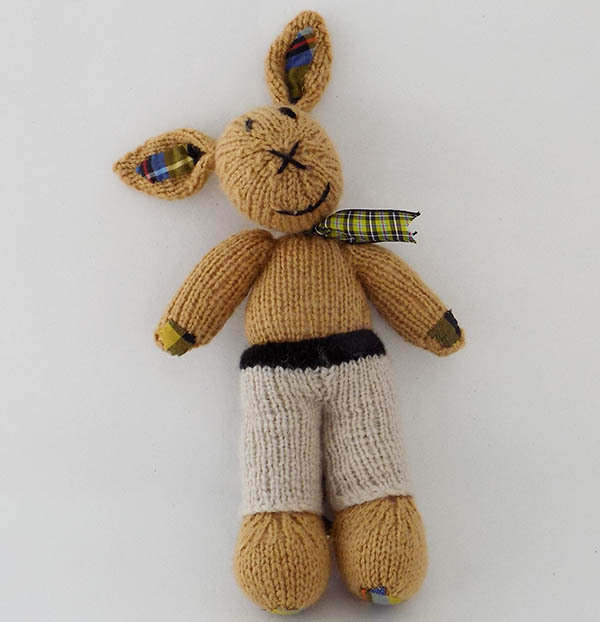 Hand knitted in Cornwall Mr Bunny is a truly Cornish Bunny with Cornish National Tartan decorating his feet paws and of course his Bunny ears! Knitted in contrasting biscuit and ecru wool with black facial features. His outfit is complete with a Cornish National Tartan ribbon tied jauntily around his neck. 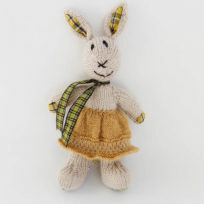 Perfect gift for your little one at Easter or anytime a cuddle is needed! Washing instructions attached.Conforms to CE safety standards. Approx 30cm tall from tip to toe.